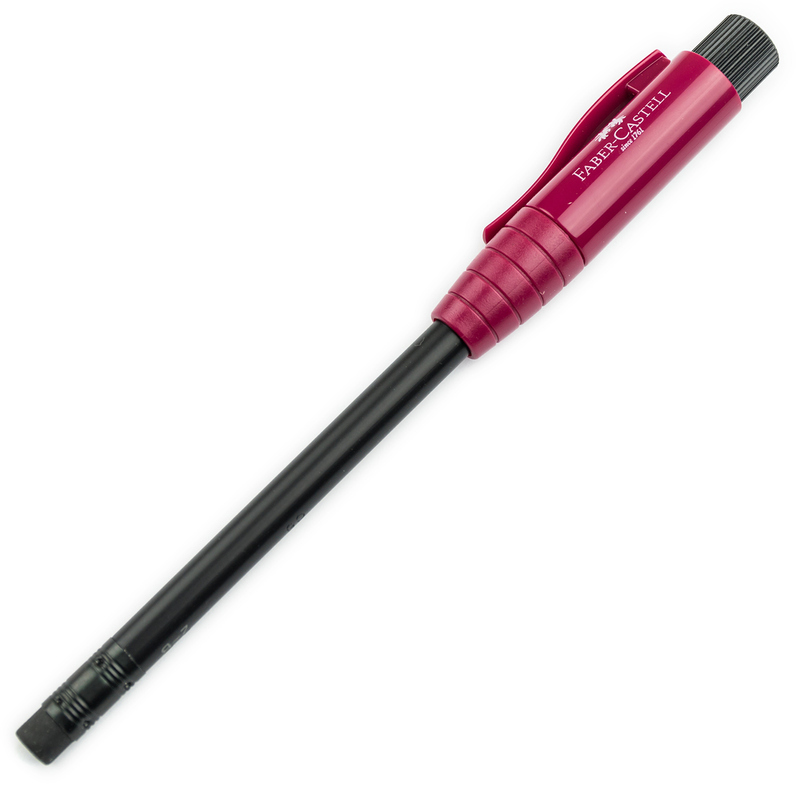 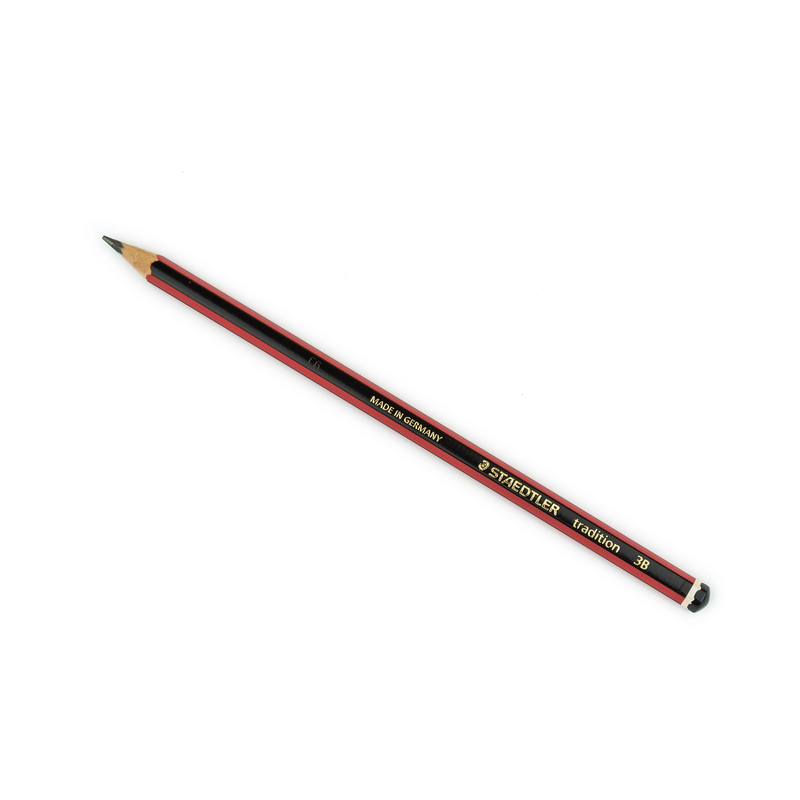 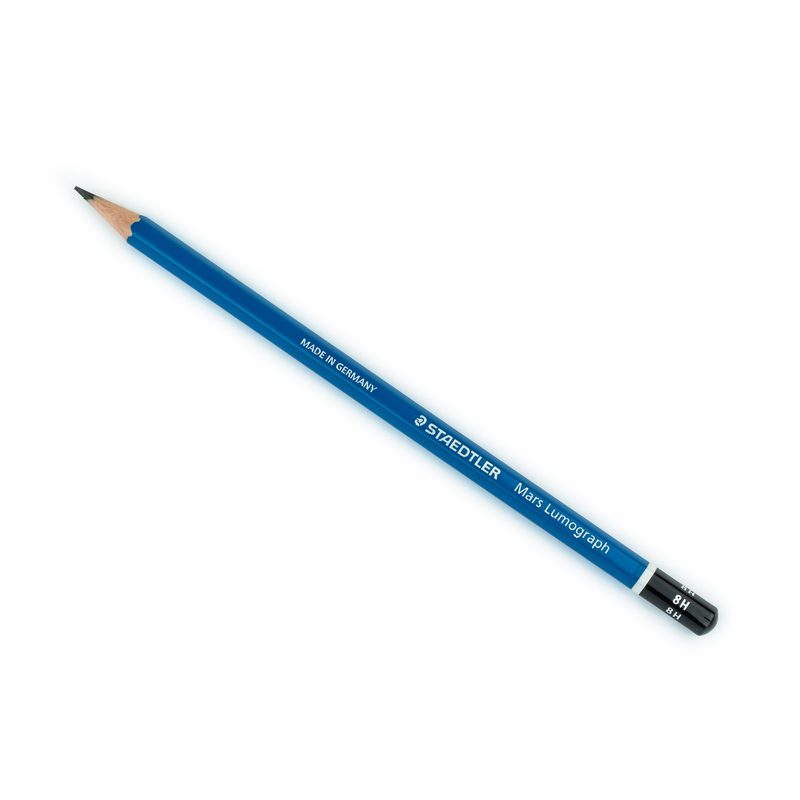 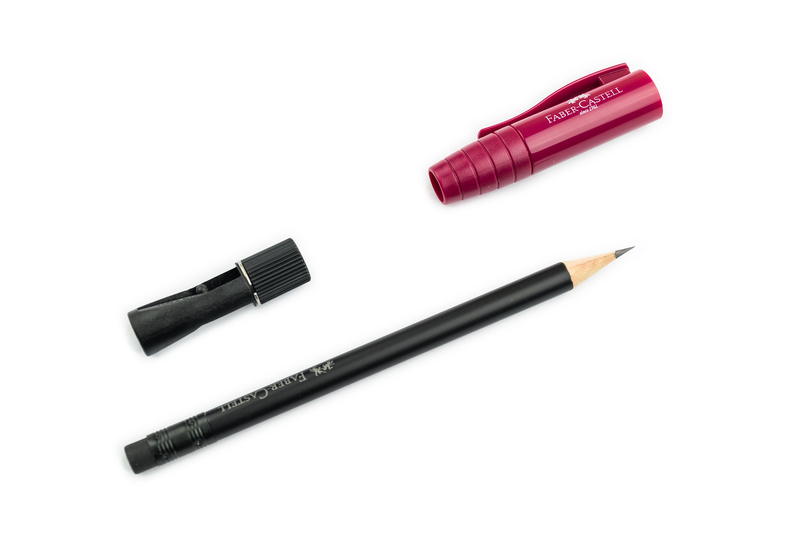 Perfect Pencil II is a blackberry-colored plastic cap for a standard wooden graphite pencil. 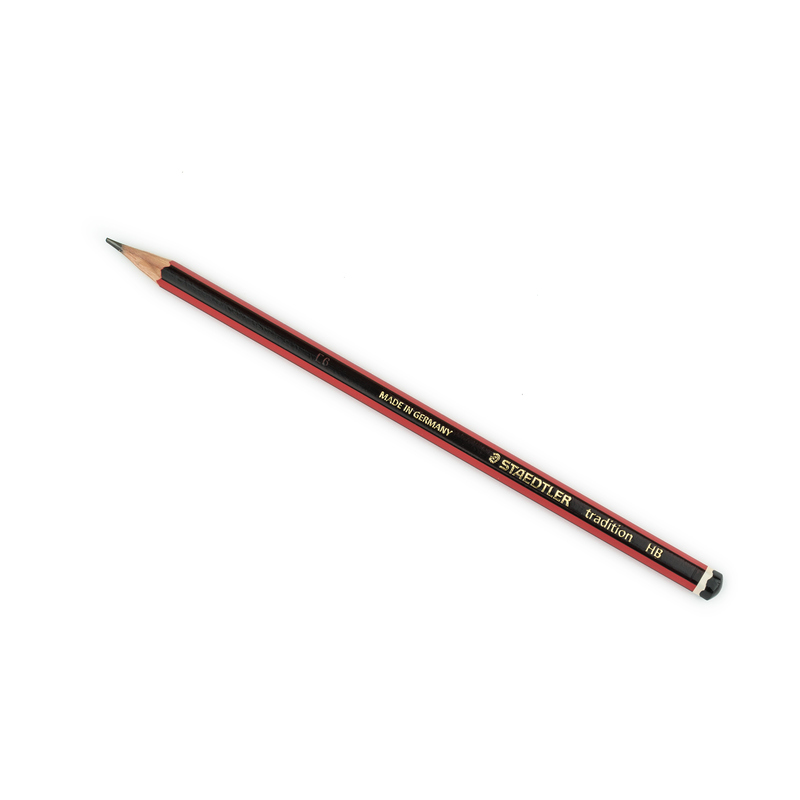 It protects the sharpened tip of a pencil while on the go and could serve as a pencil extender when your pencil will become too short to hold it comfortably. 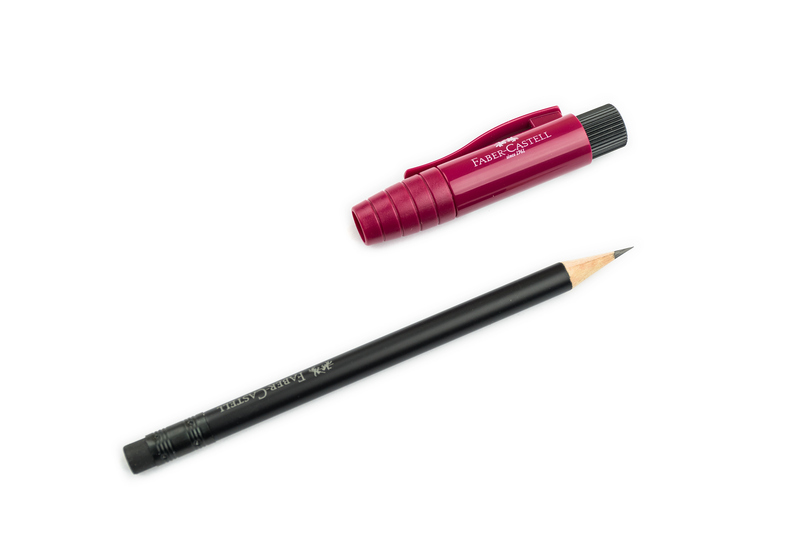 Pull the black knob on top of the cap and you will find a compact sharpener with a steel blade.